France showed they were champions in virtual soccer as well as the real game on Sunday when they beat Argentina to win the inaugural FIFA eNations Cup and a $40,000 prize. 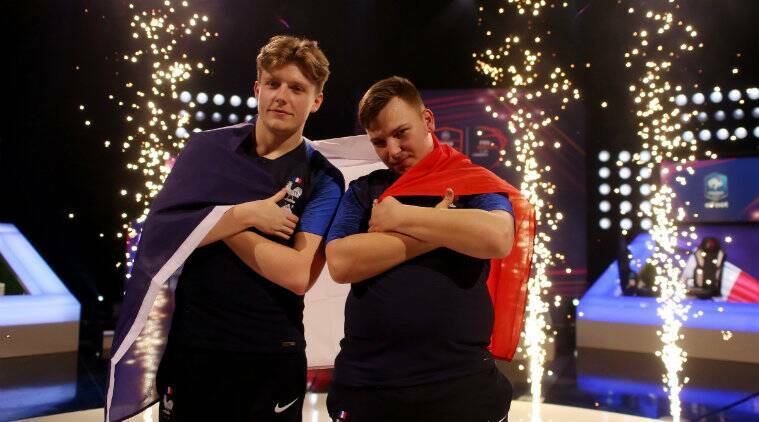 Twenty countries from six confederations were entered in the esports event, with World Cup winners France represented by Corentin ‘Maestro’ Thullier and Lucas ‘DaXe’ Cuillerier. The players wore national team jerseys as they competed on PlayStation and XBox with both one-on-one FIFA 19 matches and two v two. Teams were divided into four groups of five before the knock-out stage. Last year’s FIFA eWorld Cup winner Mosaad ‘MsDossary7’ Aldossary was competing for the Saudi Arabian team in the eNations Cup and was beaten by Thullier in the opening day’s round of games. The winning French players also won 1,500 FIFA 19 Global Series points that go towards qualification for this year’s FIFA eWorld Cup. The top 60 competitors on the final EA SPORTS FIFA 19 Global Series points leaderboard qualify for the Global Series Playoffs in June. The best 32 then go on to the FIFA eWorld Cup finals.